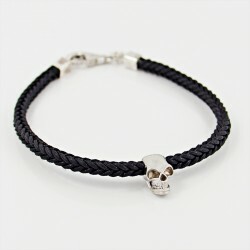 The "MIO" collection is dedicated to the men who love to wear bracelets as a supplement. 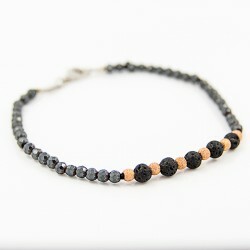 These designs are unique and ideal for everyday wear and special occasions. MIO There are 13 products. 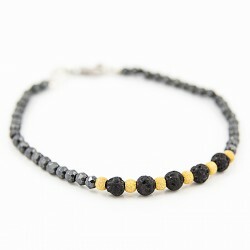 Bracelet spinel, polished and matte onyx lava with patterns in rhodium-plated sterling silver diamond gray. With clasp in sterling silver. Bracelet white coral, lava and motives in rhodium-plated sterling silver diamond gray and polished. With clasp in sterling silver. Onyx bracelet matte and polished silver motif in ceramic glazed in blue. Lockable sliding "RBR" in sterling silver. 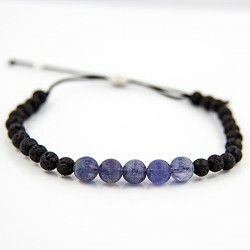 Onyx bracelet matte and polished silver motif in ceramic glazed in purple. Lockable sliding "RBR" in sterling silver. Onyx bracelet matte and polished silver motif in ceramic glazed green. Lockable sliding "RBR" in sterling silver. 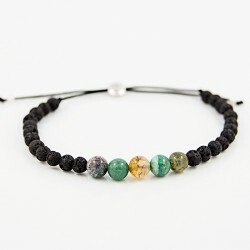 Labradorite bracelet spherical, spherical black lava finished with nylon thread. Lockable sliding "RBR" in sterling silver. 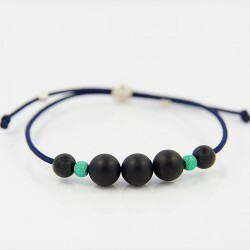 Howlite bracelet spherical, spherical black lava finished with nylon thread. Lockable sliding "RBR" in sterling silver. 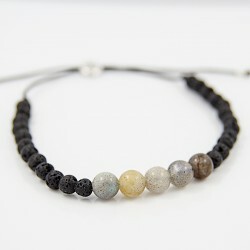 Agate spherical bracelet, spherical black lava finished with nylon thread. Lockable sliding "RBR" in sterling silver. 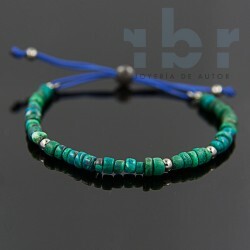 Chrysocolla bracelet discs with balls in sterling silver and black rhodium-plated sliding in close RBR in sterling silver rhodium in black.